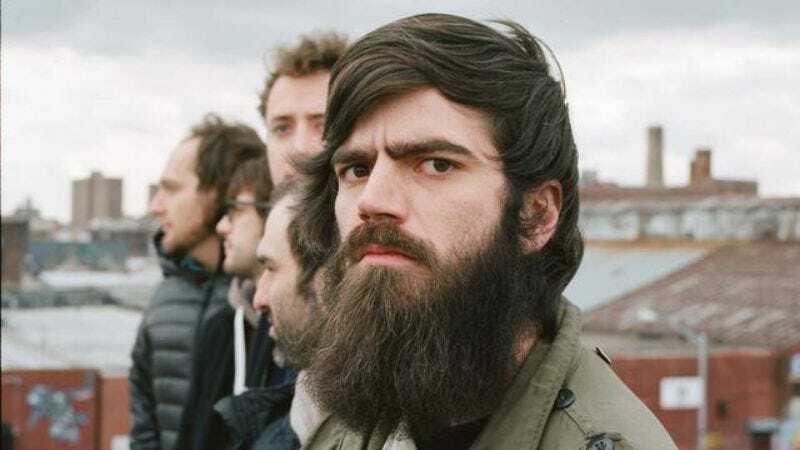 Titus Andronicus announced a bunch of tour dates for the spring back in December, but apparently not enough people were going to get their faces rocked off in that initial batch. To remedy that error, the band has announced another handful of tour dates that feature former Vivian Girls member Katy Goodman’s group La Sera. This comes from Pitchfork, which notes that both bands have also released a new song to celebrate this tour announcement. The La Sera track is “I Need An Angel” off of the upcoming album Music For Listening To Music To, while the Titus track is a remix of “Mr. E. Mann” that replaces the guitars and drums with a more classical arrangement—just like the “Fired Up” remix that accompanied the last tour announcement. You can hear both tracks below, and you can see the full list of Titus Andronicus tour dates (including the old ones) below that.